You just need a strong thread and a needle long enough to pierce through the body. 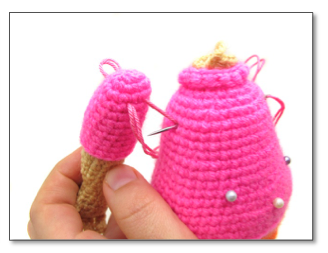 The main idea is to stuff the body of your amigurumi very well and to pierce it through the same points all the time. It's fun how designing of quite a simple toy can sometimes require crocheting so many details! I had lots of difficult crocheted toys that I did from the first time or just with a few changes. 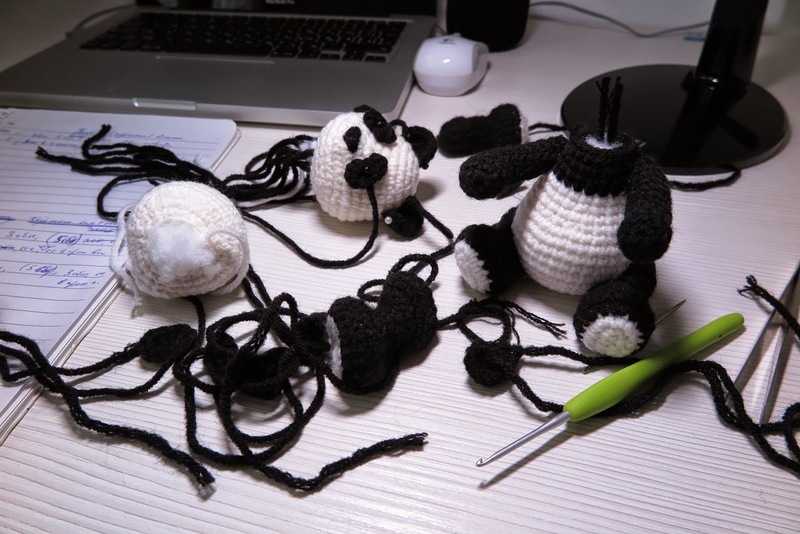 But this amigurumi Panda made me do 7 upper paws! 2 heads, 2 bodies, 5 ears, 5 legs. And I haven't even counted the number of different black spots for eyes that I tried to choose the best size and shape.